Relaxer overlap. It’s something that I see talked about a lot when searching online for relaxed hair tips, but it’s something I’ve heard little about in the salon. While I’ve known for several years that a relaxer should only be applied to un-relaxed hair, I didn’t really understand why. 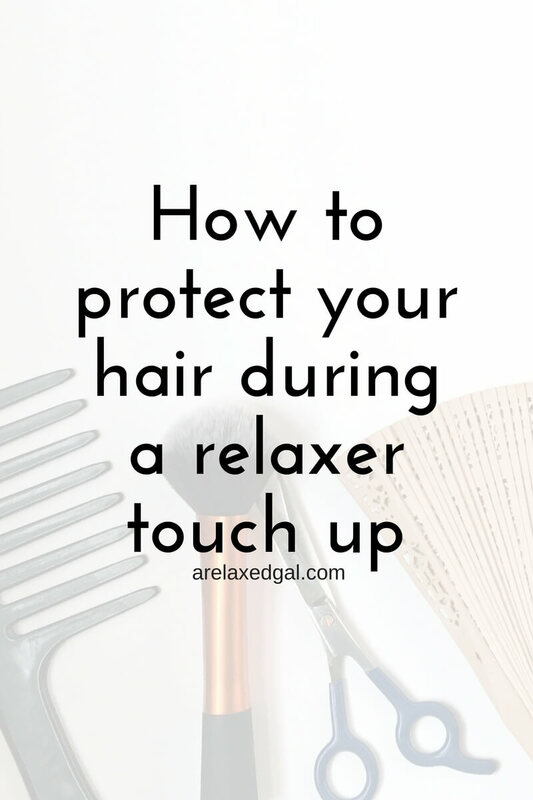 Once I decided to take control of the health of my hair and started looking for information on what I should and shouldn't do I came across the reason for only relaxing un-relaxed hair. When relaxer is applied to previously relaxed hair it overprocesses the hair. This weakens and dries out the hair strands, even more, making them extremely prone to breakage. Once I learned what relaxer overlap was I became very conscious about how my hair was being protected during the relaxer process. Because I’m not a professional stylist who would be applying the relaxer I found a few things I could do at home before I headed to the salon. I also learned that I needed to pay more attention to what the stylist was or wasn’t doing during the relaxer process. 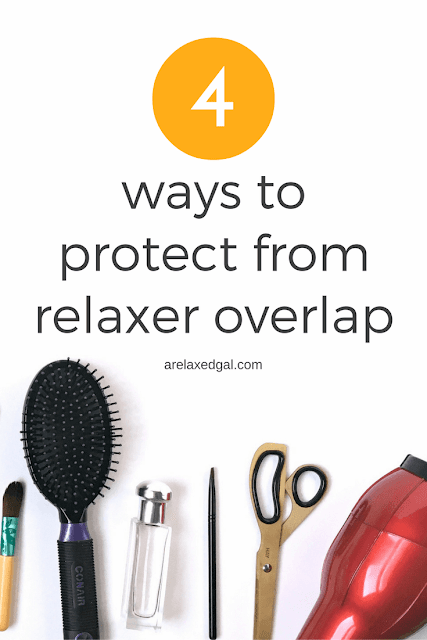 Here are four things I do to protect my hair from relaxer overlap and overprocessing during my touch-ups. A few days before my relaxer touch up I do a hard protein treatment. The protein treatment helps to strengthen and protect previously relaxed strands. I get the best results from this when I do the protein treatment only on my relaxed strands and avoid my new growth. Another way I protect my previously relaxed strands is by coating them in a petroleum-based product or thick oil like olive oil. I do this to protect my previously relaxed hair from relaxer runoff and accidental overlapping. From reading multiple articles from other bloggers, including bloggers who are hair stylists, it's recommended to only relax when you have a few inches of new growth. The minimum number of inches I've seen is 1-2”. The more unprocessed hair on your head, the more area you/your stylist has to work with lessening the chance of applying relaxer to previously relaxed hair. To make sure I have a few inches of new growth I stretch my relaxers. I go a minimum of 12 weeks instead of the 6-8 weeks most stylists say you have to go. By going at least 12 weeks between relaxers I'm giving my relaxed hair a break from chemical runoff that can occur during applications. I repeat only apply the relaxer to your new growth. Applying relaxer to previously relaxed hair overprocesses the hair, weakening it even so it’s more prone to breakage. I just relaxed after being natural for 2 1/2 years. I put a lot of work trying to understand my hair however the regimen for relaxed hair i am having a hard time with. I have high porosity hair. Currently, the products i am using. * I purchased Aloe Vera juice to do a mist but not sure when to use it. -Maybe while i am stretching relaxer with protective styles? *Apogee Mousse for when i am stretching.